Considered royalty among flowers, the rose, with its distinctive fragrance and elegant flower head, attracts serious as well as casual fans among its followers. Rose aficionados dedicate their efforts to developing new varieties, while the novice or non-gardener simply enjoys the rose for all it has to offer. The basic use of the rose is to provide ornamentation to the landscape, garden, room or person. Filling a vase with cut roses from the garden brightens a room while encouraging more growth on the plant. Roses provide ornamentation to events from weddings to funerals. On formal occasions, women often wear corsages made from roses, and men might wear rose boutonnieres. The Rose Garden of the White House, located outside the Oval Office, is used as a ceremonial site. A bouquet of roses is a classic gift for practically any occasion. The giver might consider the color of the rose before selecting the gift. The “Language of Flowers”, accepted during Victorian times, assigned meanings to different flowers. To send the expression of romantic love, send long stemmed red roses. A white rose signifies girlhood, and a pink rose signifies happiness. Some colors carry multiple messages, such as the yellow rose, which can signify jealousy, decreasing love or "try to care." 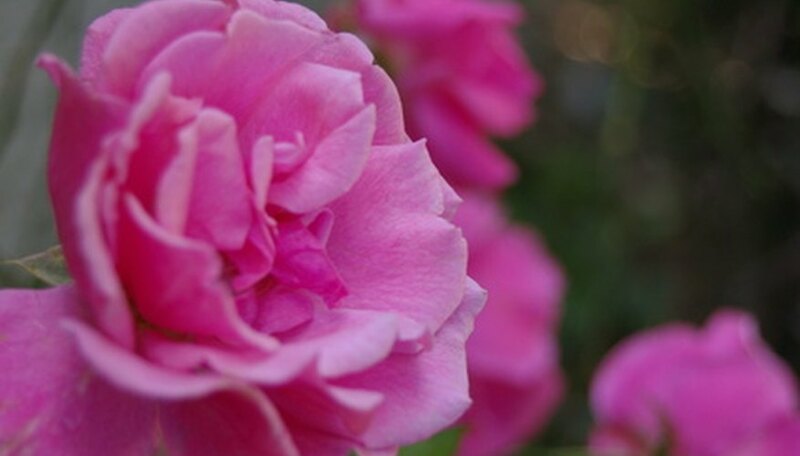 The rose’s distinct scent inspires perfumes, cosmetics and room fresheners. Essential oils, made from petals of rose flower heads, are one way to harness the rose fragrance. Craft enthusiasts use dry rose petals to make potpourri or sachets to add rose scent to a room, drawers or closets. Scattering fresh flower petals is a romantic gesture, providing both fragrance and decor to a setting. It is tempting to preserve a flower that is as striking as a rose. One way to do this is by drying the flower, which can be achieved by air drying, pressing, freeze drying or submerging the blossom in a desiccant, such as silica gel. Once dried, use the flower to embellish a project. Use pressed roses to decorate note cards or bookmarks. For best results, dry perfectly formed blossoms prior to their full bloom. Rose hips, the fruit of the rose bush, contain more Vitamin C than citrus fruit. The petals, which are also edible, are sometimes added to salads or used to make jam. They have a perfume-like taste. An article in “Reiman’s Gardens” recommends removing the whitish base of the petal when preparing the salad, as it has a bitter taste.